2. 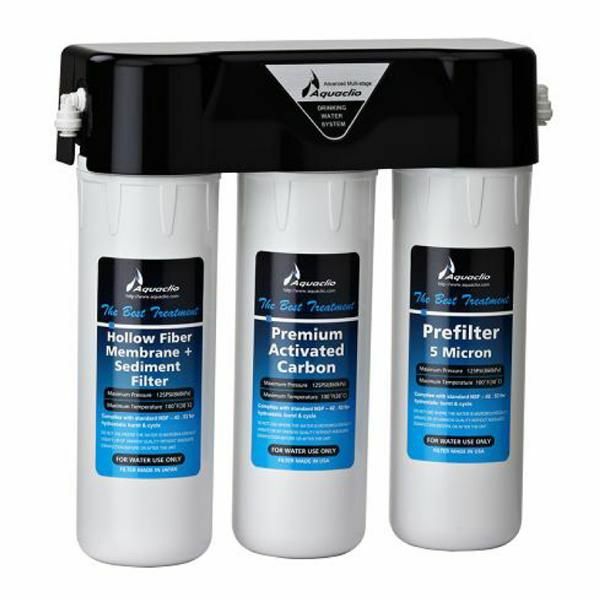 Aquaclio Advanced Technology Filter Design - High & Satisfying Water Flow. 3. Bacteria-Free Drinking Water - Removes Bacteria, Sediment, Chlorine – Natural Coconut Carbon Provides Greater Taste, & Better Water Appearance - Saves Natural inerals. 4. Totally Green - Natural Filtration Technology; No Electricity, No Pump, No UV, No Drain. 5. John Guest Tubing & Connectors – Durable. 6. Aquaclio Quick-Twist Filter Design - Easy to Replace.